Finally, my finale…Listen, my website and dark sky efforts used to be all sweetness and light, full of fluff ‘n foam, lather ‘n spray, kind, gentle, civil, polite, meek, mild, ‘n mellow. 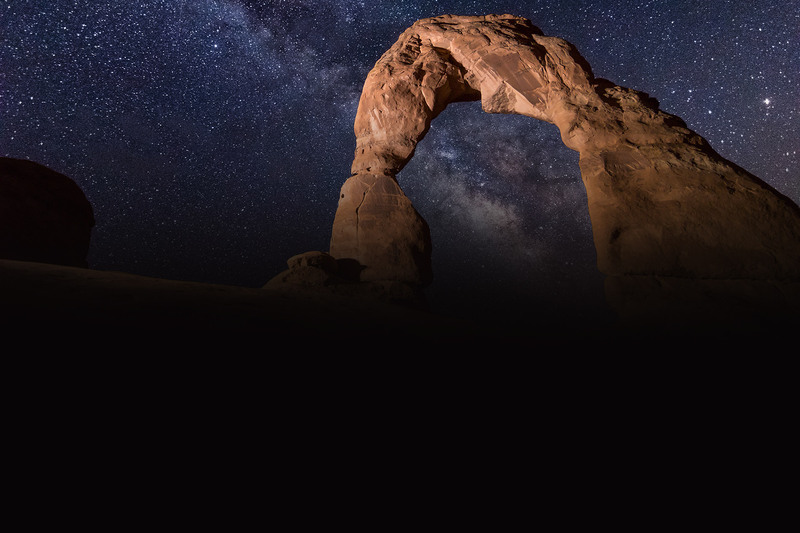 FEWER LIGHTS = STARRY NIGHTS! YOU? Are you still ductile and docile? A callow fellow? A naive Steve or Eve? A pliant and pliable astronomer, anchored and tethered to the darksky.orgs and astromagazines? WAKE UP! Torches and pitchforks, anyone? Need some abrasives? The difference a blackout (Revolution?) makes. August 2003. 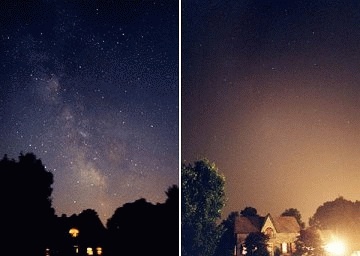 Images show what we miss when we clutter the night with wasteful light! Copyright, T. Carlson. Ontario, Canada. Now I demand: LIGHTS OFF! Most lights, not all. Dim bulbs! Dim the lights that desecrate nights! Now I demand that you incite a Moonlight Revolution where you live! Nature’s Lighting Ordinance! NLO! Make It So! So, you may disagree with my cue-jabbing, toe-stomping, rib-poking, body-slamming, brow-beating, bulldozing style, approach, and manner. No apologies! 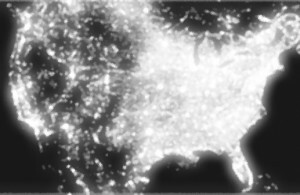 At least I’m doing something about light pollution. Are you? STARGAZERS UNITE! DE-LIGHT THE NIGHT! MOONLIGHT REVOLUTION! NLO! MAKE IT SO! Or, this is your children’s future nighttime view of America. Click on the image to make it larger. My earlier, polite efforts left no trace, bruise, blemish, or bump, not one mark, nick, or scratch on the SOBs, Satans Of Brightness! I have no compassion for light-blighters who don’t give a whit about starlight! Polite and civil does not save starlight in this deeply privatized, corporatized, syphilized society! No more Mr. Nice Dark Sky Guy! I will fight dirty till death and beyond to defend dark skies from light pollution! Whatever it takes! …I’m beholden to no one for $$$$ — no ads, no fees, no dues, no money, no lobbyists… I don’t want your money or membership. Use your $$$$ to finance your own Moonlight Revolution in your own community, county, country, continent. NLO, Make It So! We can not return to the Good Old Days (GODs) when all was dark at night – unless we dispatch (extirpate) humans – but we can “press forward with all possible dispatch” (Actor, Terry Thomas in the hilarious movie, Mad, Mad, Mad, Mad World) to a time when we restore a dark night sky with NLO and a Moonlight Revolution. Pitchforks ‘n torches handy? Abrasives? Thanks for wading through all of the above.